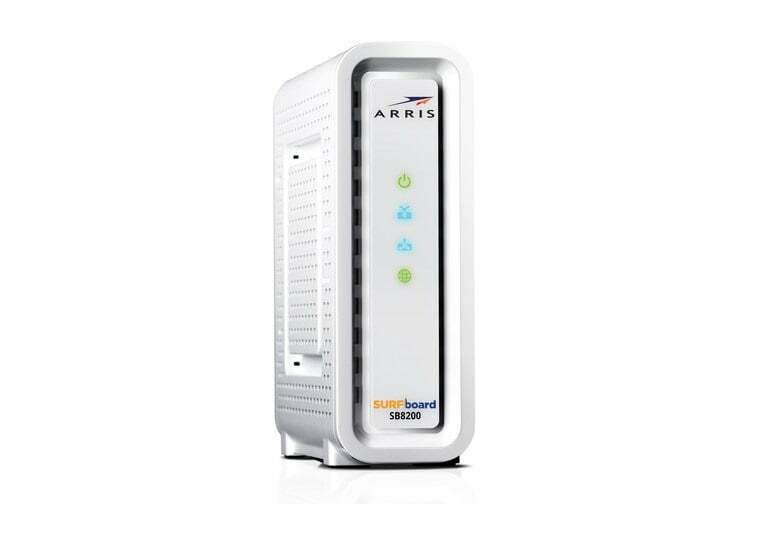 For most people, the ARRIS SurfBoard SB6183 will be the best cable modem to purchase. The SB6183 is a 16×4 DOCSIS 3.0 modem supporting speeds up to 686 Mbps down and 131 Mbps up. The modem is supported by the big three cable providers, Spectrum (Time Warner/Charter), Comcast, Cox, along with numerous other regional providers such as Cablevision/Optimum. 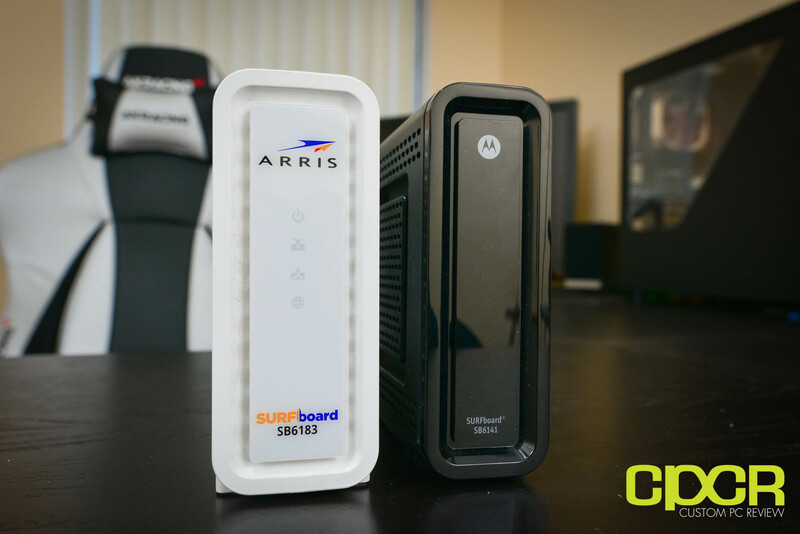 The reason why we recommend the ARRIS SurfBoard SB6183 is because it’s a widely supported modem, has excellent reliability and is capable of speeds for most people at least for the next few years. In our long term review of the SurfBoard SB6183, the modem performed extremely well on the Spectrum (Time Warner) network boasting low latency, good speeds, and no issues to note. 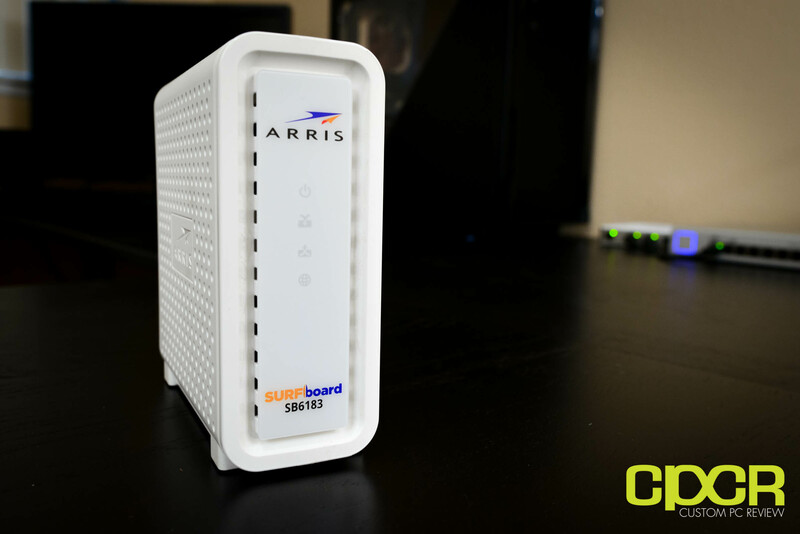 Recently announced back in March 2017, the ARRIS SurfBoard SB8200 replaces the SB6190 as the flagship SurfBoard modem. The SB8200 boasts some beastly specs, boasting 32×8 channels and DOCSIS 3.1 support giving the modem a maximum rated speed of up to 10Gbps. The modem is currently supported by Comcast and Cox for optimal use with their Gigabit internet plans with others such as Spectrum and Brighthouse still pending approval. Those currently on Comcast or Cox and want a modem that will last many years will find the SurfBoard SB8200 an excellent choice. 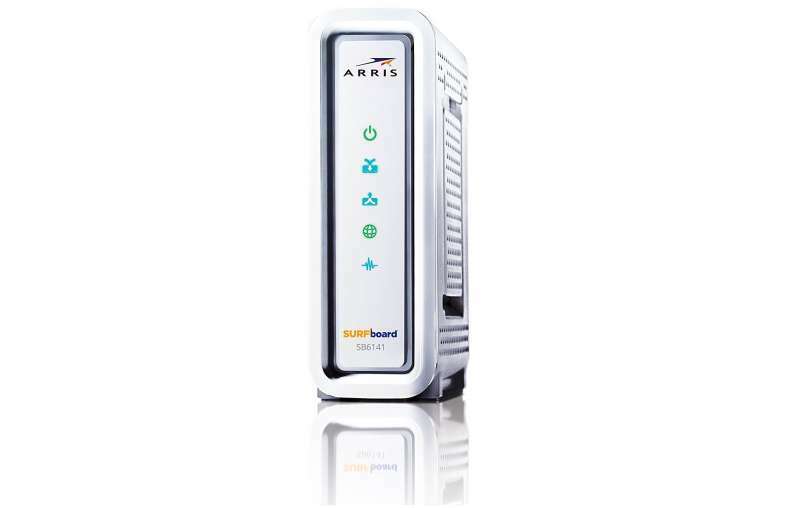 An old stalwart released back in 2013, the ARRIS SurfBoard SB6141 is still an excellent modem that has withstood the test of time. The SB6141 features 8×4 channels and DOCSIS 3.0 support giving it a maximum performance of up to 343 Mbps down and 131 Mbps up. However, while this is the maximum theoretical speed, be careful as not all cable providers will provision speeds beyond 100Mbps for the SB6141. Being one of the oldest cable modems, the SB6141 is supported by almost every major cable provider including Spectrum, Cox and Cablevision although some are beginning to phase out support such as Comcast which ended support for the modem back in 2015. If you’re on one of the supported cable providers and you’re looking for a relatively inexpensive modem for an internet plan up to 100Mbps, the SB6141 is the one to get. When it comes to purchasing your own cable modem, ultimately what it really comes down to is cost. Many cable companies charge between $6 to $10 per month for a modem rental which equates to roughly about $72 to $120 per year. Given that most cable modems with the exception of the SB8200 are priced at under $100, cable modems essentially pay for themselves within the course of a year. However, before purchasing your own modem, it’s highly recommended to check the current cost of renting a modem. Some companies such as Charter (Spectrum) has stopped charging modem fees so for those providers, it’s a better deal to just take the provided modem. Should I Buy a Combo Modem/Wireless Router? Generally the answer to this is no, but as always it comes down to price. The problem with a combo modem router is that the router part of it may become quickly outdated. New wireless protocols are adopted at a much faster rate than telecom protocol standards such as DOCSIS 3.1. As a result, you may be paying extra for a modem router combo, but due to the outdated router, you’ll need to purchase an updated router anyway. Another issue with a combo modem router is that there are simply more parts to fail. If the router portion of the modem router combo fails, then you’ll likely need to purchase a whole new unit. DOCSIS may be a term that you’ve seen while browsing around your cable provider’s website or while looking over the specifications of the modem you’re planning to purchase. DOCSIS stands for Data Over Cable Service Interface Specification, which is a telecommunications standard for delivering data over cable lines. Think of this as something similar to the difference between 3G and 4G LTE wireless communications. DOCSIS 3.0 which is currently supported by most cable companies was released back in 2006 and promised to significantly increase speeds over DOCSIS 2.0. Whereas DOCSIS 2.0 had a maximum capacity of 40 Mb/s down and 30 Mb/s up, DOCSIS 3.0 has a maximum capacity of 1.2 Gb/s down and 200 Mb/s up. Further, DOCSIS 3.0 also introduced support for IPv6, which is a new version of IP to alleviate the issue of the internet running out of IP addresses. DOCSIS 3.1 is the latest version of DOCSIS, which was released back in 2013. This new standard supports a maximum throughput of 10Gb/s down and 1Gb/s up thanks to its use of several new technologies such as QAM 4096, which is a method of modulating data, and OFDM (Orthogonal Frequency Division Multiplexing). Currently the only major cable company to partially support DOCSIS 3.1 is Comcast although other companies are either actively transitioning or beginning testing for eventual deployment.